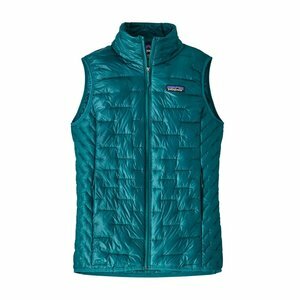 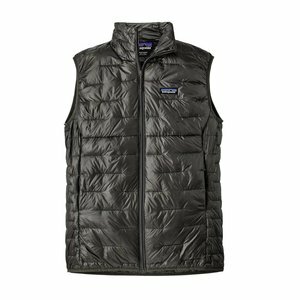 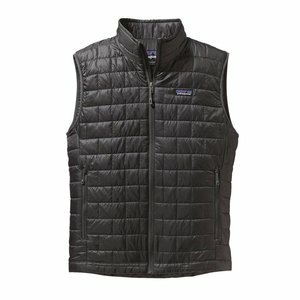 Patagonia Mens Nano Puff Vest, punches above its weight, trapping your heat with 60-g PrimaLoft® Gold Insulation Eco—with 55% postconsumer recycled content—wrapped in a windproof and moisture-shedding 100% recycled polyester ripstop shell with a DWR (durable water repellent) finish. 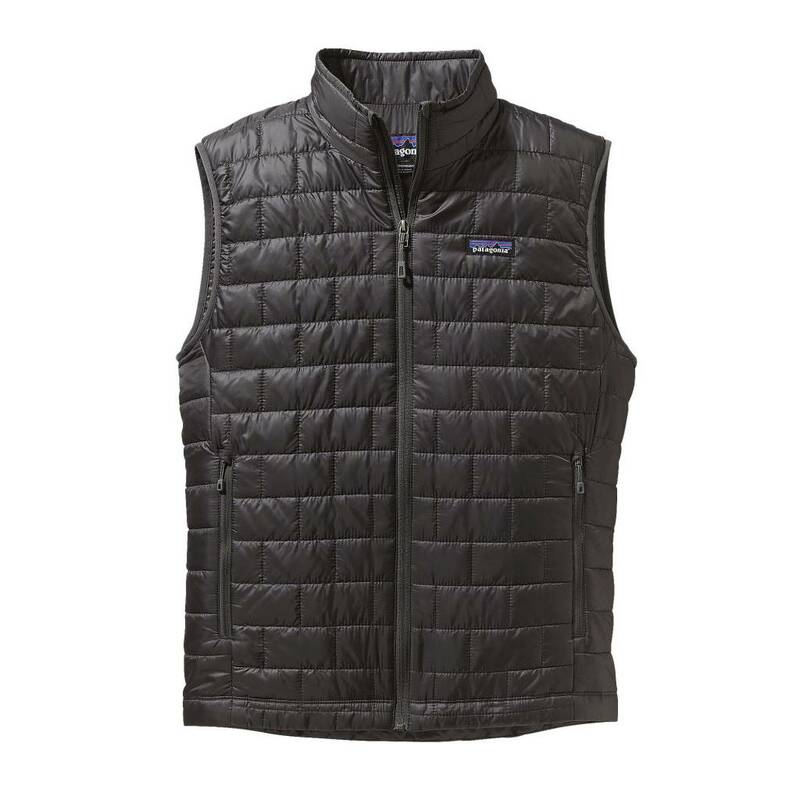 The vest has a shaped fit and a soft, wicking interior storm flap & zipper garage for chin comfort. 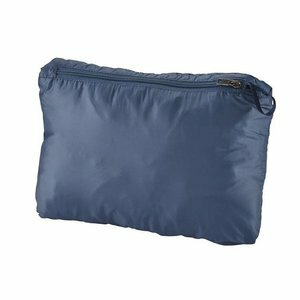 Other points include a drawcord hem, a pair of zippered handwarmer pockets and an internal chest pocket (with clip-in loop) that doubles as a stuffsack. 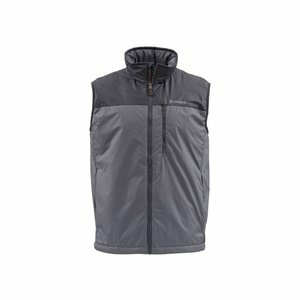 Simms Midstream Insulated Vest, layering helps keep us warm, but it's easy to end up feeling a little overstuffed. 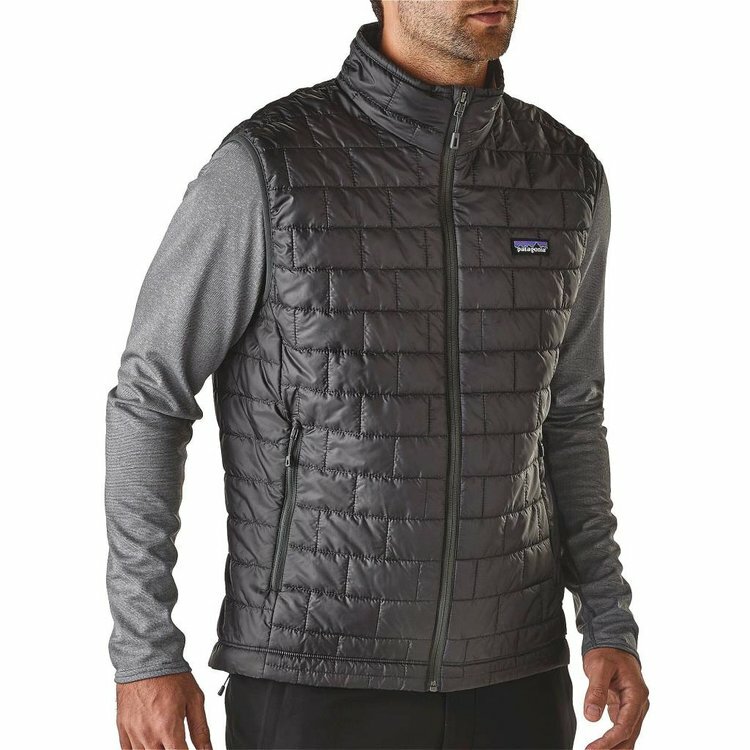 Features PrimaLoft® Gold for the highest warmth-to-weight ratio available with synthetic insulation.